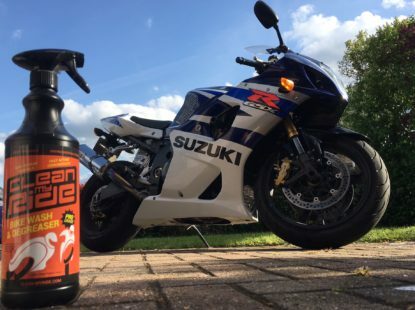 As keen cyclists and motorcyclists, lovers of two wheels, and addicts to the feelings of excitement, freedom and enjoyment that both provide, the same thrills are not felt by most of us when it comes to cleaning our rides. We all love the end result, standing back to admire our handiwork when done, but let’s be honest it’s more of a necessary chore and maintenance for most of us. Don’t we all wish there was a way to achieve the same result in less time with less effort? 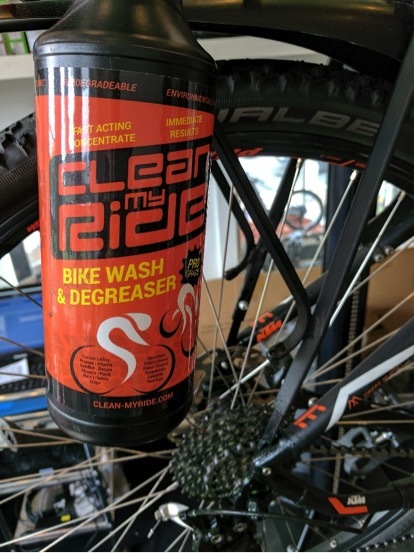 With access to a family chemical business, over three decades of knowledge, constantly dirty bikes and a garage full of half empty cleaning products that did the job but never quite well enough, the challenge was laid and the tinkering and chemistry began. Quality. Effectiveness. And environmentally friendly. Over the space of several years and lots of personal experimenting and testing, never on animals, just bikes, we finally developed a successful formula that exceeded our own high expectations. It’s safe, timesaving, easy to use, eats dirt, dissolves grease, is non-caustic, contains no harmful solvents, is non-streaking, biodegradable and environmentally friendly. 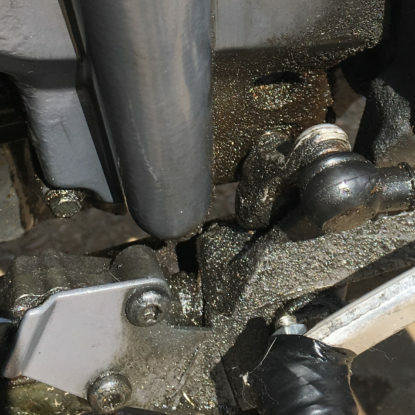 It also needed to be tried and tested on every type of surface on both cycles and motorcycles including metals, paintwork, alloys, plastics and rubbers, carbon, chrome and even anodised materials without damaging surface finishes. We also experimented with more dyes, thickening agents and trigger heads than you could possibly imagine. Finally Clean MyRide was born. Start small. THINK BIG. Say thank you. The last 12 months have been incredible and we would like to say a huge thank you to all the individual cyclists and motorcyclists, cycle shops, motorbike shops and workshops, MOT and servicing centres, motorcycle clubs and event organisers that have kindly assisted and supported us in our initial sampling and feedback stages, and more recently in our localised soft launch. And finally a very special thank you to our first stockists and trade workshops. You know who you are.